Education always consists of two main components – theory and practice. No matter what you learn, there comes a time when you need to switch from textbooks, videos, instructor’s explanations and demonstrations to doing something with your own hands. In this context, healthcare education is no exception. Before becoming doctors, medical students spend years learning and practicing their skills. At the same time, healthcare is, in fact, different from other areas, as it deals with something that is simultaneously very complex, very unpredictable, and very fragile – the human body. Traditionally, healthcare students have been practicing with all sorts of models and manikins resembling human bodies and their parts and organs as well as with cadavers that are used to train various medical skills. As their education progresses, students are allowed to perform treatments and surgeries on real patients, often under the supervision of experienced doctors. Such practice, while being rather effective, has its drawbacks, too. No models can recreate the functioning of the human body and its organs. Practicing with patients can be rather risky due to possible errors. Also, patients may become worried about being treated by inexperienced young doctors. Luckily, we live in an era when technology can often replace or recreate real life. An augmented reality (AR) where virtual objects overlay the real world has become a great training tool, and its benefits are especially prominent in healthcare education. 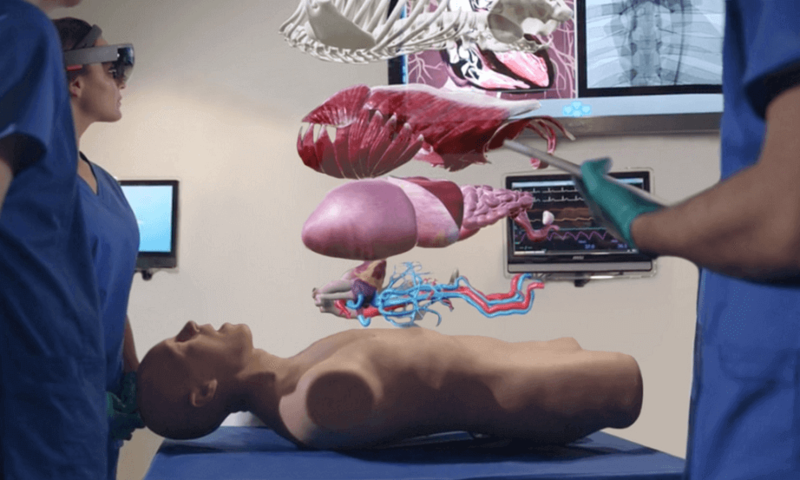 With AR, students can practice with virtual objects entirely resembling human bodies and organs without worrying about putting their patients’ health at risk. Let’s look at some examples of augmented reality applications for healthcare education. Augmented realiy technology is already being adopted by many medical schools in a variety of ways. Practicing human anatomy in AR is getting increasingly widespread in medical colleges. 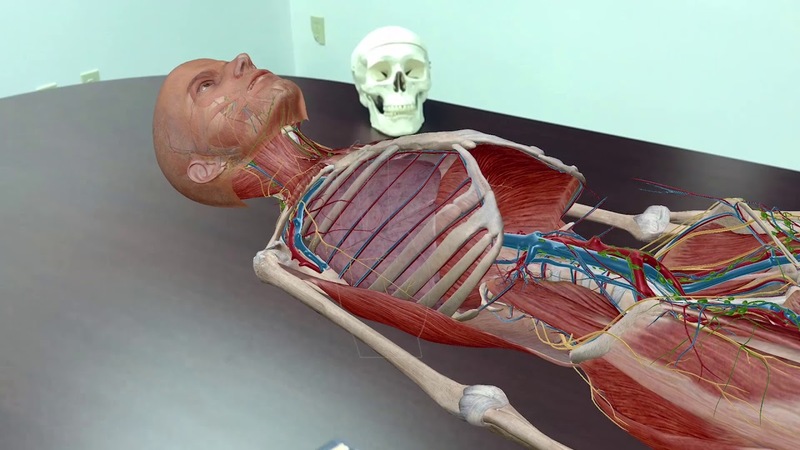 Instead of physical cadavers or plastic models, students can see the human body in augmented reality. Moreover, AR apps can show the parts and organs in motion, so that the students see how they work. Displaying supportive information over physical models or text. A plastic skeleton can be supplied with QR codes or other markers triggering AR text containing bone names, characteristics, functions, and other relevant data. A picture of a human heart enabled with an AR marker can produce an animated 3D model of the same heart showing how it beats in augmented reality. Displaying 3D models triggered by markers. In AR, medical students can see, for example, a human skull with all its individual bones. Depending on the complexity of the AR app, the 3D model can be animated or interactive. For example, students can “remove” bones and study them from all angles or see inside the body. Such AR apps can recreate whole bodies where each part or organ can be interacted with. With AR, learning anatomy becomes considerably easier and more effective. For medical schools, getting an AR app may be less expensive than providing their students with enough models, specimens, and cadavers. For the students, learning with AR ensures a higher degree of flexibility, as they can have their “labs” almost anywhere and at any time. Any exercise can be repeated in AR as many times as needed ensuring the highest degree of knowledge. For surgeons, practice is extremely important. A lot depends on the precision of movements and the “muscle memory”. At the same time, arranging a surgical practice can be rather difficult. Practicing with real patients involves a high degree of risk and not all patients agree to it. Practicing on cadavers can, naturally, train the precision and fine movements, but cadavers cannot recreate the state of operating on a living body. Here, augmented reality can do the trick. By overlaying the animated image on a manikin, the AR application creates the impression of performing surgery on a living organism. While providing a realistic experience, such practice poses no risk for patients. AR apps using special headsets, such as Microsoft Hololens, are a great learning tool for young surgeons. With different scenarios, students can practice different surgeries and other procedures in augmented reality and see how the virtual “patient” responds to their actions. With augmented reality, students can learn from their errors in the literal meaning of the word without the fear that mistakes can cost their patients’ lives or health. Naturally, each scenario can be repeated in AR as many times as needed for the student to become confident with their surgical skills. It often happens that victims of accidents in remote areas are first treated by paramedics, volunteers or other emergency response personnel who may have insufficient experience in first aid. Besides, in such cases, there is often not enough time to bring the patient to the clinic or wait for qualified help. 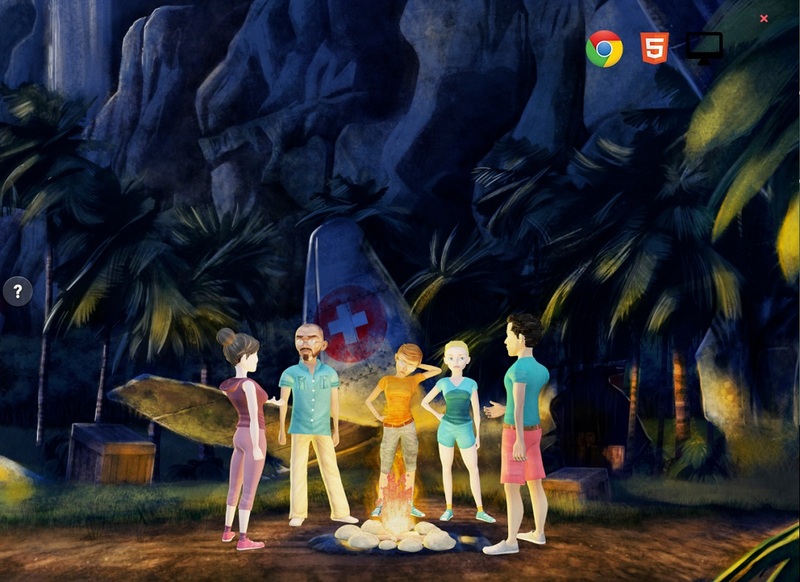 The life-saving activities must be performed right at the spot and within the shortest time possible. When the emergency response units are equipped with AR headsets and applications, they can treat accident victims under the guidance of experienced doctors who may be miles away. The AR headset projects the image of the patient to the remote doctor’s display, and the doctor can give oral or even graphic instructions on how to stabilize the patient at the spot. The doctor can add images to the screen that will be projected back to the person at the accident site and overlaid on the patient in their headset view. This way, with the use of augmented reality the team ensures that the patient receives the most effective first aid care, that the right instruments are used and that all procedures are performed as correctly as possible. Another important application of augmented reality is training personnel who respond to emergencies. They are not necessarily doctors or even medical professionals – they may be firefighters, police officers, volunteers, military service members. In any case, they may be the first to arrive at the emergency site and have to deal with the injured. The task of such first responders is to sustain the patient’s life until they are delivered to the hospital. They may have to stop the bleeding, perform CPR, and help the patient with an epilepsy seizure. In any case, they need to act quickly and confidently. First aid training in augmented reality can inspire such confidence, as the trainees will not only gain theoretical knowledge but also practice the skills. The AR app used in such a training program projects an image of a patient over a manikin so that the trainee can perform their activities on a physical object while seeing a virtual patient. A skillfully programmed training scenario can include many vital signs that indicate the problem and require specific actions. For example, a “patient” recreated in AR may have a particular skin color, breathing frequency, position, may perform certain gestures or make sounds that indicate what is wrong with them. 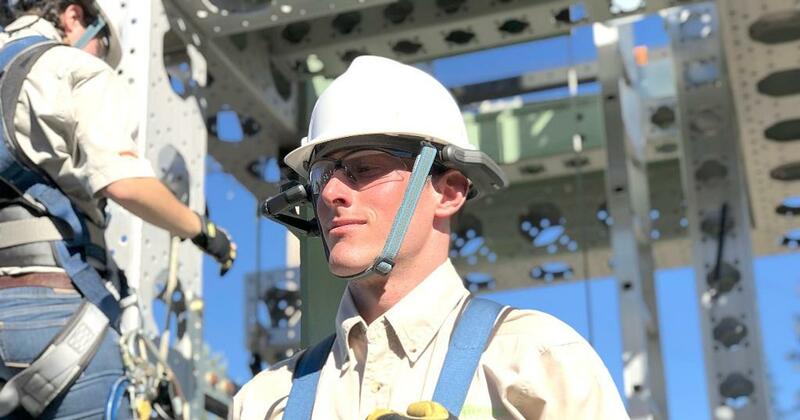 Such training in augmented reality can help first responders to identify the problem quicker and administer the first-aid measures more effectively. Moreover, with AR headsets, training can be performed anywhere and requires little time to set up. Realistic experience. AR creates life-like virtual objects that give the most realistic impression of how the human body is built and how it functions. Low risk and high safety. Training in augmented reality as compared with practicing on real patients involves much less risk for the patient, thus inspiring much higher confidence in the student. Cost-effectiveness. While sophisticated AR apps can be rather expensive to build, their cost is relatively low in comparison with the cost of setting up anatomy theaters and providing cadavers and specimens for students to practice. Higher efficiency. With AR apps, students can practice as much and as often as they find necessary. As opposed to practicing in laboratories where students have to rely on the schedule and on the availability of disposable materials, AR training can ensure better results in training the required skills. Availability of expert assistance. 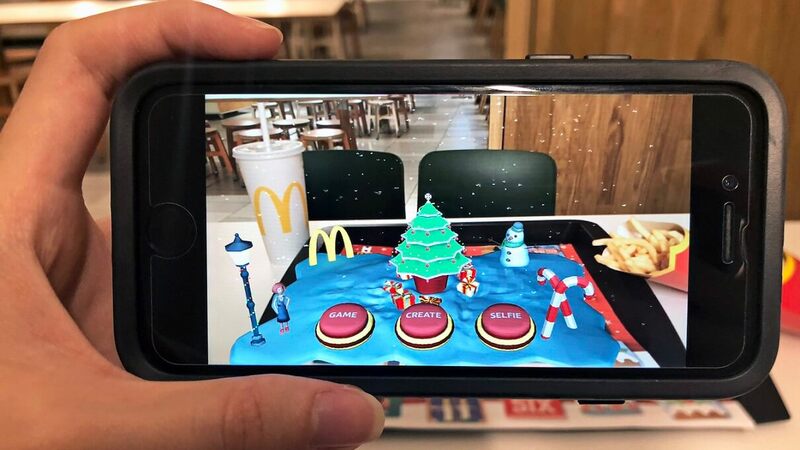 Augmented reality apps can easily connect trainees or remote workers with mentors or experts who can provide instructions or assistance in real time. Augmented reality is a powerful educational tool that is widely recognized for its ability to recreate virtual training cases in real circumstances. Its effectiveness for healthcare is in the possibility to perfect the doctors’ skills without an unnecessary risk for the patients. We believe that both academic healthcare education programs and specialized courses will benefit from using augmented reality. AR can help doctors get their professional skills to a new level, as well as provide an opportunity for anyone to learn first-aid techniques. In healthcare, the quickness of response, the confidence of the actions and the precision of movements can be the fine line between life and death. Augmented reality can help students gain all these qualities and raise their professionalism. We welcome healthcare educational institutions to discuss the ways augmented reality can be used in their curricula. We can help to plan the project, adjust it to the budget, and suggest the most optimal functionality and tools to achieve the highest effectiveness using augmented reality. Contact us for more details and let’s help the humankind together!